Taking a ship from Shiogama, you can get to Matsushima bay going through among many small islands, which have different names depending on the shape. 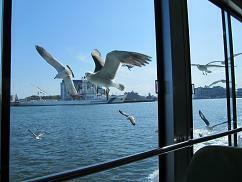 On the way to Matsushima bay, Seagulls flew with us over the blue sea under the blue sky. 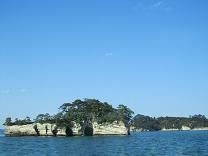 It took about 50 minutes from Shiogama to Matsushima. 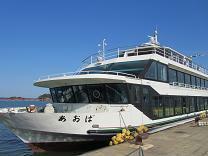 The cruise costs 1400yen.